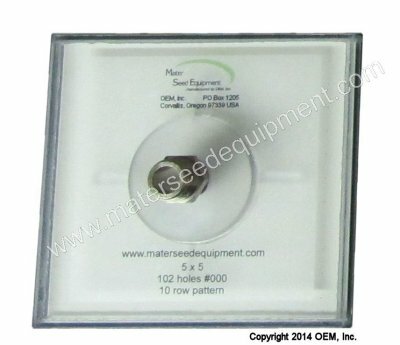 Many sizes of vacuum seed counting heads with custom hole size, count, and layout available. 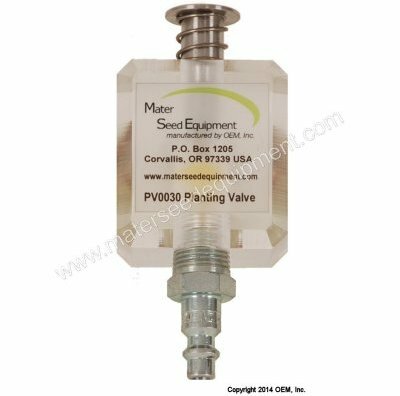 Thumb operated vacuum valve for vacuum counting-planting heads. 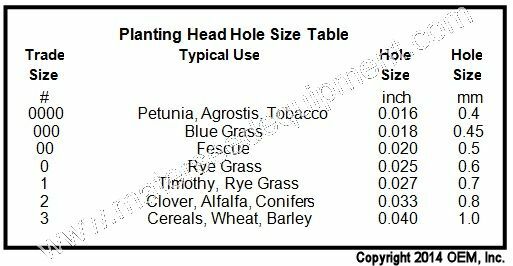 Compatible with Erickson and Hoffman heads. Inlet and outlet ⅜ inch US internal pipe thread. British (BSP) adapters available. 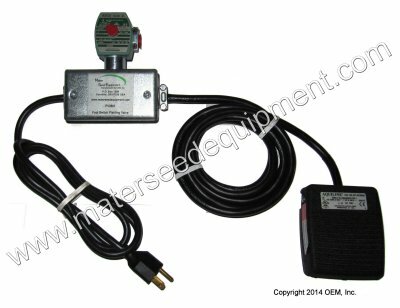 Electrically controlled planting valve uses a foot switch to control a solenoid valve to control the vacuum to your counting head.